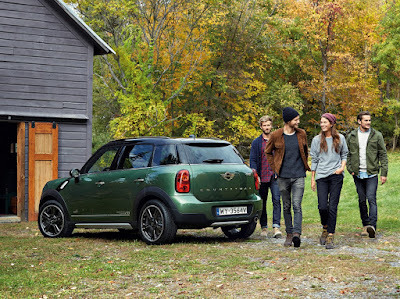 The MINI Countryman Pepper Edition is a car for people who want to stand out. This limited edition is limited to 444 copies, the 111 pieces in each color of pepper: white, black, green and red. In addition, each car will be marked with an individual number - on the rear door and on the dashboard. When deciding to purchase editing Pepper, customers in the basic price will receive additional equipment worth up to 20,000 złoty. The package includes, among others, sports seats and a leather steering wheel, trim strips in Piano Black and the rain sensor, navigation system and bi-xenon headlamps. . . .